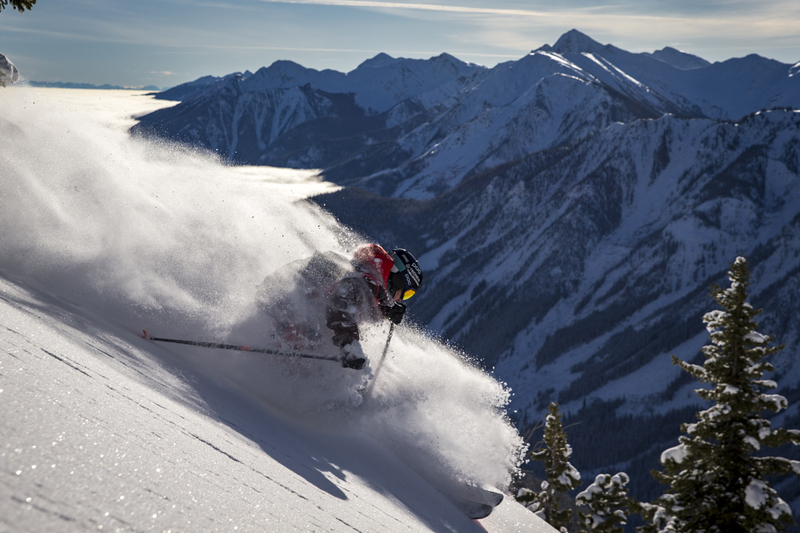 You’ve read all the stats: 4,133 feet of vertical, 2,800 acres and over 120 marked runs. 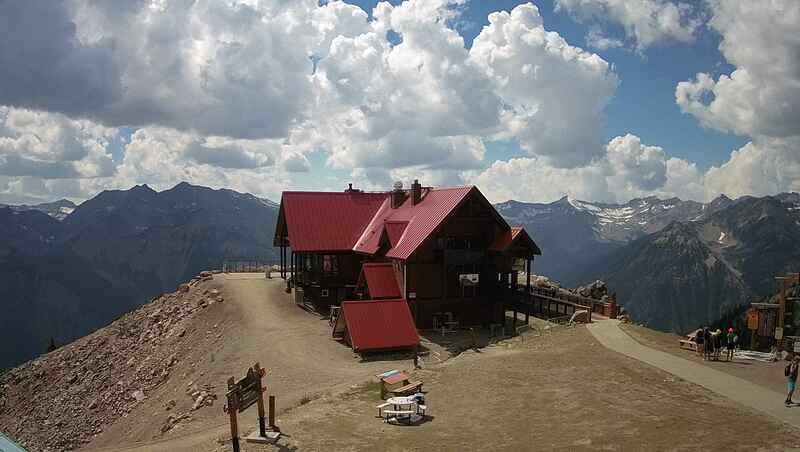 You know that on average the place gets 24 feet of snow each season. 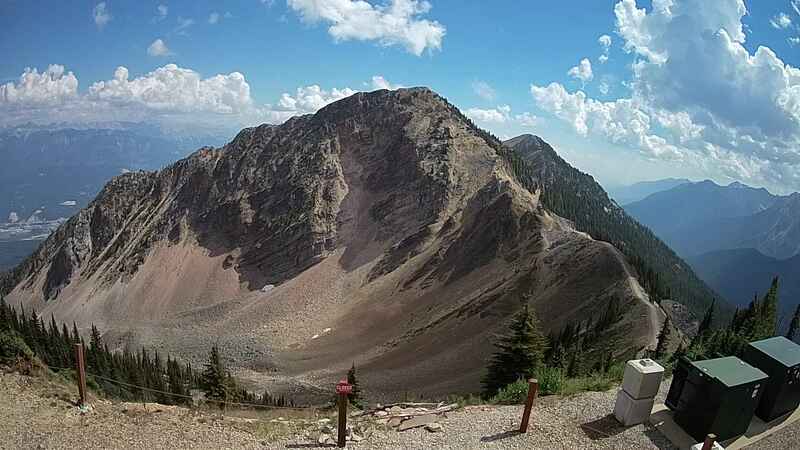 You even know it’s got the fifth highest vertical drop in North America—just six feet shy of Jackson Hole’s. 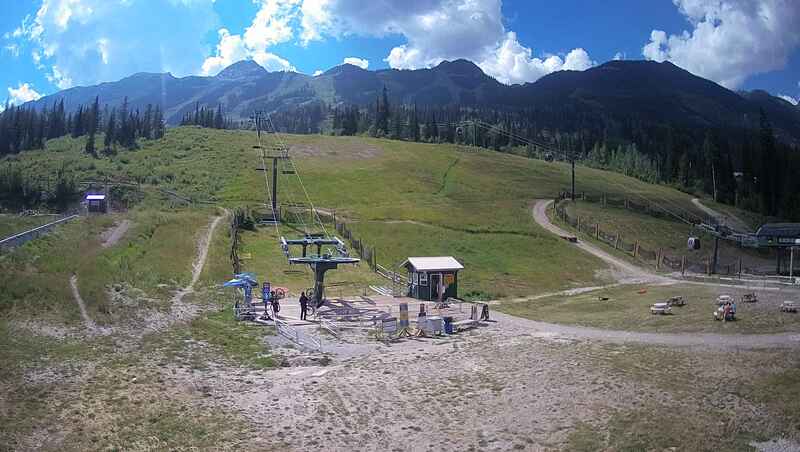 But for some reason you’ve still never been to Kicking Horse. OK, Maybe you’re unmoved by stats. But did you also know the last two seasons the snowfall has actually exceeded 33 feet? 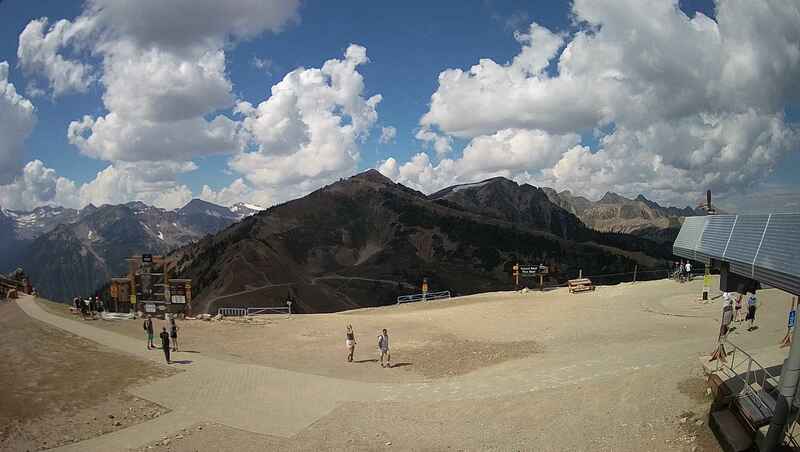 And that the resort just absorbed an entire new bowl into its tenure that used to be heli-ski terrain? 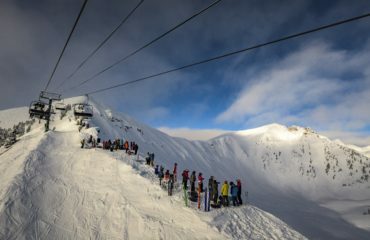 And that Kicking Horse is now on the Epic Pass? 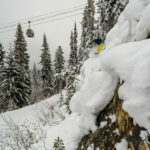 Only 2.5 hours from Calgary International Airport, what you get is a weatherproof series of crescent promontories drawn from the pages of history, only a snowball’s throw from the birthplace of North American mountaineering—Rogers Pass. 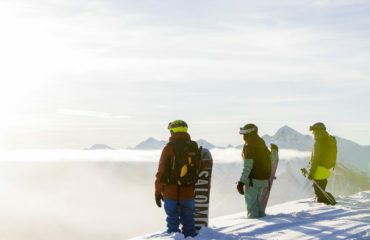 After 19 years quietly drawing upon a big-mountain legacy brought forth by turn-of-the-century Swiss guides and mountaineers like Syd Feuz (the namesake of one of the mountain’s best bowls) Kicking Horse is flaunting its alpine identity more than ever. 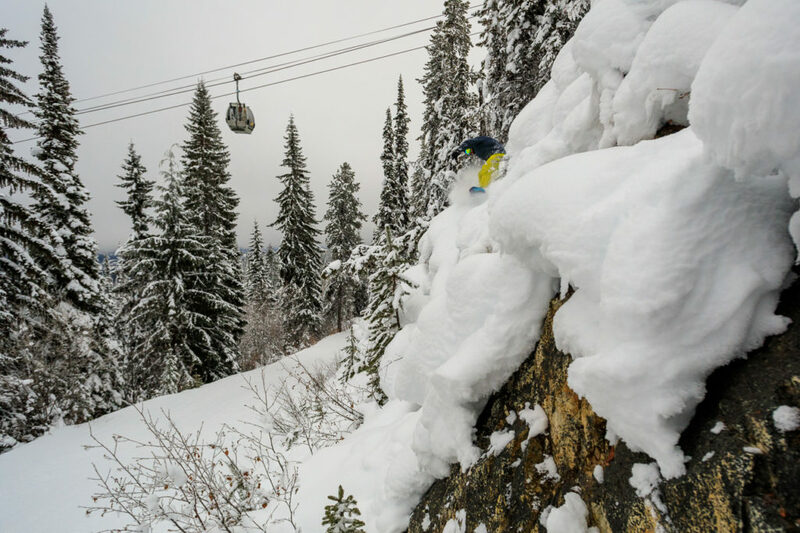 You can see it in the complex avalanche control program—one of the largest in North America—that prioritizes getting guests right to the goods the day of the storm: no waiting for the top to open. 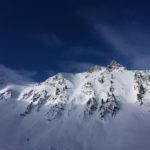 And you can see it on the Freeride World Tour (FWT), where the resort is the only North American five-star stop, and for good reason. 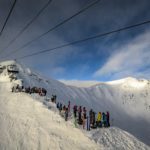 “Kicking Horse Mountain Resort boasts Canada’s steepest and burliest terrain, all coated with its famous ‘champagne powder,’” says Freeride World Tour Senior Communication Manager Emile Lavoie. 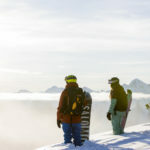 The expansive string of alpine amphitheatres with a game-on philosophy and low-key vibe makes it more akin to skiing the backcountry than any other resort in North America. With the recent absorption of adjacent terrain from Purcell Heli-skiing, that’s ever more true. 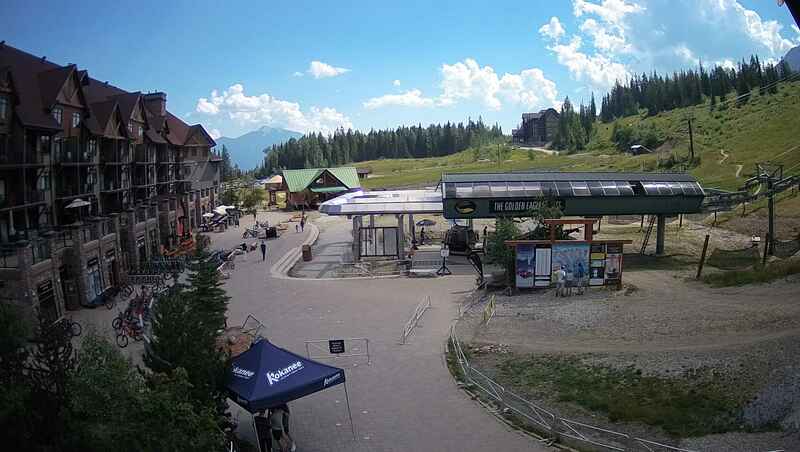 It’ll eventually add 660 acres, boost the top elevation to 4,460 feet, and add a fifth alpine bowl with cruisy south-facing slopes all above treeline. 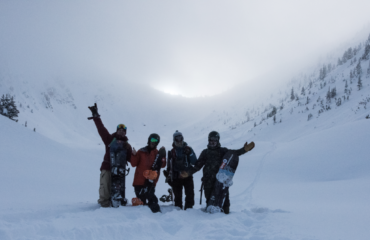 While the mountain has yet to announce what part of that will open this winter, look no further than last year’s FWT stop at Kicking Horse for an idea of what the rowdiest bits could look like—it was the mountain’s first foray into the spine-tingling new zone. Writer, editor, content creator specializing in long-form journalism and genuine storytelling. I mostly muse on stuff that happens in the mountains: history, culture, sport, travel, adventure, ecology, politics and business. Whatever the human angle is, that's where I'm at. I also write about film and music, and do shorter web or front-of-book pieces, including reviews and the odd bit of blog work. Contributor to over a dozen publications, many national and international titles.